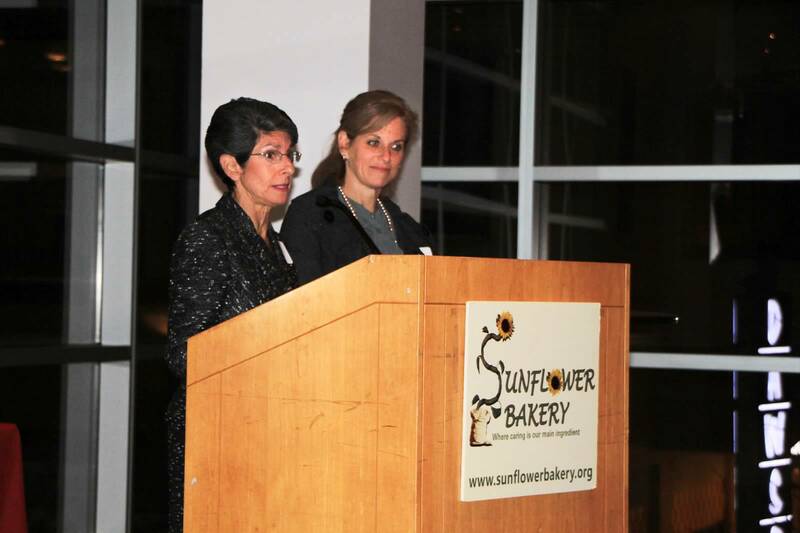 Sunflower Bakery was a recipient of the 2013 Ruderman Prize in Inclusion. Below is part one of an interview conducted with the founders, Sara Portman Milner and Laurie Wexler, where they discuss what makes the bakery unique, the community support and how they view inclusion. Please share with our readers your personal history- where you grew up, professional career etc. Sara: I grew up in Savannah, Georgia. I was the fifth of six kids. When I was 14 years old, my parents gave birth to a child with Down syndrome. Our family pediatrician and the rabbi of our synagogue told my parents, “don’t bring him home. You have a beautiful family- send him away.” They did the exact opposite- all the kids wanted their baby brother to come home. My career has been devoted to giving opportunities to people with disabilities- in Savannah, there weren’t many opportunities. There was primarily exclusion. My brother was actually the first to have an inclusive bar mitzvah at our congregation. I’m a social worker by training. I started the disabilities program at the Greater Washington JCC where I worked for 34 years. The good news is that the Jewish community in DC got together to aim for inclusion. The bakery was a great opportunity to have a match for what I do. Laurie: I grew up in upstate New York & South Florida, went to college in Texas and received a Masters in Jewish Communal Service from the Hornstein Program at Brandeis. I have worked for several Jewish organizations focusing on local community needs and Israel initiatives in Florida and DC. My husband was elected to Congress in 1996, so our family moved to DC. I volunteered at the Ivymount School for students with special needs and the experience stuck with me. I have met numerous adults that have children with disabilities who are eager to find opportunities that will enable their children to become productive members of society. This led me to start exploring ideas for employment training for young adults with disabilities. The most attractive possibility was to create a pastry arts training program. It also turned out that the DC Jewish community could support another kosher bakery. So, after visiting a bakery in Virginia Beach that employs individuals with disabilities, we married the concept of a kosher bakery with preparing young adults with disabilities to enter the job market. What makes Sunflower Bakery unique? Laurie: Sunflower is a unique hybrid: it’s a kosher bakery and it’s a place to learn skills. As a nonprofit, it is helpful to have the earned revenue from the sales of products. Sunflower works hard to help the students become trained and ready for the workplace. Some of the students don’t have a service provider or support system in place & we can help get them started. In the end, we can help them to become employees who can go to work and do a job like the employer wants. What special teaching methods/special services do you offer/use at the bakery? Sara: Part of the beauty is that none of the pastry chefs have experience with special education. Therefore, we can mold them to teach and work with the students. We get information from the students, get their individualized education plan which educates us on what avenues are best for teaching them. Do they learn better by reading, watching, listening? We use every learning modality available so each individual learns the skills he/she needs. Laurie: The very first thing we decided was to hire a professional pastry chef because we knew we wanted a program that was focused on the profession and to prepare them for employment. We were volunteers but we had a professional pastry chef who was paid. Now we have 3 pastry chefs, two work directly with the students and one manages production all day long. We chose baking and pastry- if you can learn to follow a recipe and do what’s asked, you can be successful at producing that product. Sara: The repetitive nature of the work; you don’t change your cookie recipe every week. We have to deal with sensory issues (light, sound, smells)- they have to be able to work in the kitchen. There are certain accommodations we took into account to make sure they’ll be successful out there. Did people approve of you starting a bakery that trains/employs people with disabilities? In the very beginning, it seemed a little difficult for some people to envision. We knew that to be successful, we needed to meet not only the need for employment training for individuals with disabilities, but also provide a broader community benefit. This benefit was providing a kosher, parve bakery under the supervision of the Rabbinical Council of Greater Washington. Our synagogue, Beth Sholom Congregation in Potomac, MD, readily donated kitchen space for us to begin the pilot program. Community members first purchased our products because they liked the organization’s mission, they purchased a second time because they liked the product. We then knew we were on the right path. The community is enormously supportive. What difficulties did you face when starting the business? The main difficulty in starting this venture was determining the correct blend of a skilled employment training program and a production bakery with pastries for sale. A related challenge was determining an accommodating course of instruction and training that would best position our students for success in employment. How do you define inclusion? Laurie: Inclusion is a value. Everyone should have the same opportunities, do as they wish (which goes beyond the educational setting) and people becoming valued members of society. It’s a way of life, giving people the possibility to have meaningful relationships so they can join the community & reach their highest potential. Sara: It’s NOT about numbers. You have no clue how many people have a disability out there. Everyone should be given opportunities to be the best they can be. While that is not the same for every person, each individual should have the chance to apply their achieved skills to a job to be self-supporting and productive members of a community. Sara Portman Milner and Laurie Wexler are the co-founders and co-directors of Sunflower Bakery located in Gaithersburg, MD. They can be reached at sara@sunflowerbakery.org or laurie@sunflowerbakery.org. Visit them on Facebook at Sunflower Bakery.